So, how do we find 2013? Year 2013 was abounding in events, very active and incredibly diverse. It forced us to look differently on the Polish art than in the past – from a different point of view, and above all, in a different context than before. And all this because of Contemporary Lynx, which like the ‘Szum’ was founded in spring of 2013. One of the main objectives and at the same time a cause of Contemporary Lynx’s activities, which we have focused on at the beginning of our professional activity, was the fact, that virtually there was no day without the participation of the Polish artists in foreign cultural events. Some of these occurrences are important in view of the local community, others have huge international overtones. However, most of the information is not available in Poland. Furthermore, people from abroad interested in the art of this ‘region’ of Europe have a fairly limited selection of sources where they can look for the information. Therefore, our profile is focused on promoting and raising awareness of the Polish art in western recipients. We wanted to look at it a little from the outside, as it is shaped in a broader perspective of the world art. Therefore, we have focused in particular on the condition of the Polish art beyond Poland. We had to identify artists, events, that were not necessarily recognized and considered as important from the point of view of the national ‘art scene’. What has mostly drawn our attention ? Definitely three events, without specifying the hierarchy we list them alphabetically: an unprecedented exhibition and commercial success of Jerzy ‘Jurry’ Zieliński, the Polish Pavilion Without the Walls at the festival Performa 13 in New York and the Venice Biennale. The Polish Pavilion was one of the most interesting events we saw at Biennale this year. One could only speculate about its final shape or at least the areas, that would be covered based on the description of the project given prior to the opening. The sound of falling rain drops went into space orchestrated by Konrad Smoleński. 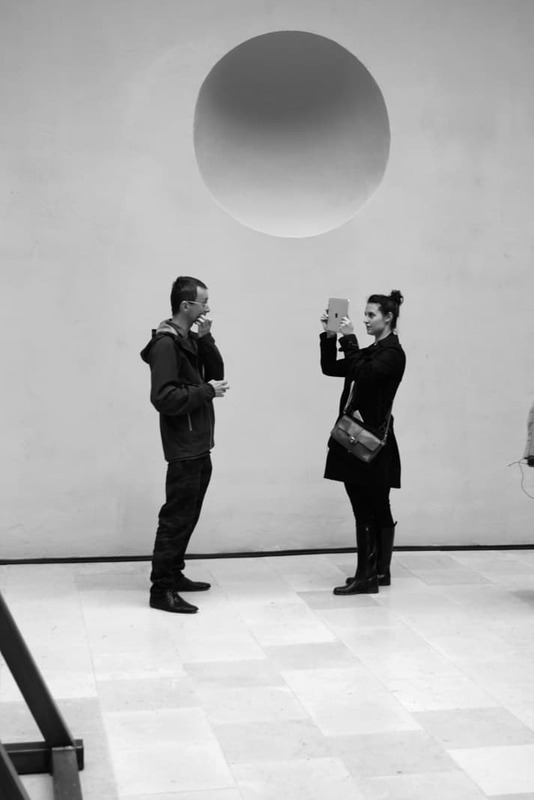 Initially it was a silence, but over time sound installation was passing through the audience with increasing intensity. We became a part of the installation, which got out beyond the pavilion without any boundaries, ignoring the conventions and residents’ calm or other good works – it ideally released the nature of the art of the young generation of artists. Except of Smoleński, it is worth noting the presence of a very active this year Agnieszka Polska in Palazzo Contari Polignac in Venice. This was a place where Victor Pinchuk Foundation and PinchukArtCentre prepared an exhibition of both winners and selected artists awarded the Future Generation Art Prize. As part of the main exhibition “Il Palazzo Enciclopedico” placed in two locations, it was possible to see among others the video of Artur Żmijewski at the Central Pavilion in the Giardini, then the pictures of Jakub Ziółkowski, the work of Mirosław Bałka and installation of Paweł Althamer in the Arsenal space. 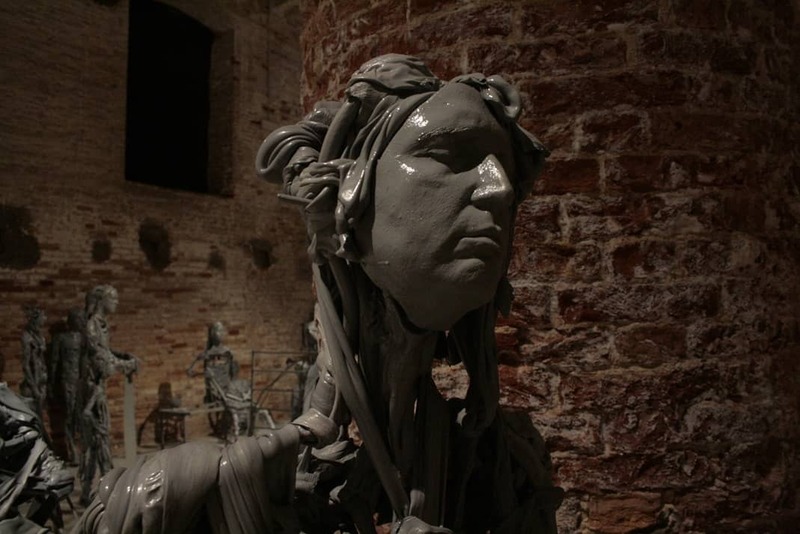 Paweł Althamer participated also in the exhibition of VAC Foundation held on the neighboring island in Casa dei Tre Oci. The icing on the cake was an exhibition of Natalia LL in the Upp gallery on Giudeca. This year’s success of Jerzy “Jurry” Zieliński is a dream of every artist to be discovered and entered into the global art market. At the beginning, Alison Gingeras discovered Jerzy during her stay in Poland. After seeing his work in the catalogue prepared by the ‘Zderzak’ Gallery, she organized an exhibition of his several works in her artistic Eye studio in New York. This in turn has resulted in cooperation with the well-known London gallery – Luxembourg & Dayan. Moreover, during the Frieze the first British exhibition of Jurry’s works from both private and public collections was opened in that gallery. This exhibition was a success not only in the term of exhibition, but also as a commercial one. 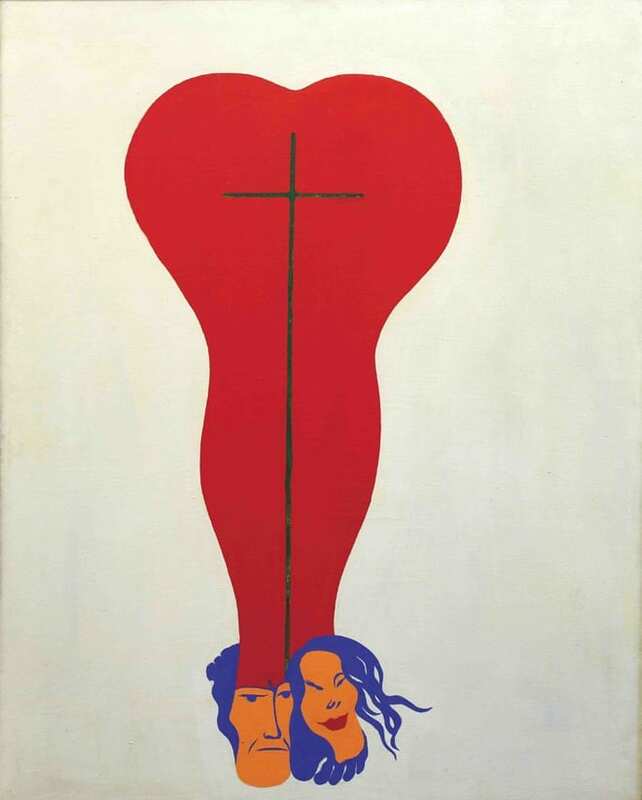 His painting “Lurking kiss” of 1969 exhibited on this stand during Frieze Masters was sold already on the first day of the fair ! On the other hand, Performa 13 was one of the most important events dedicated to the art of performance in the world. The presence of the Polish artists was incredibly intense this year. Our trip started with an amazing experience – a performance of Konrad Smoleński and Radek Szlaga in Fridman Gallery. We watched an intriguing performance of the Academy of Movement in Times Square. The next stop was at the James A. Farley Post Office on Madison Square, where Katarzyna Krakowiak installed her sound work “The Great Secret Show”. 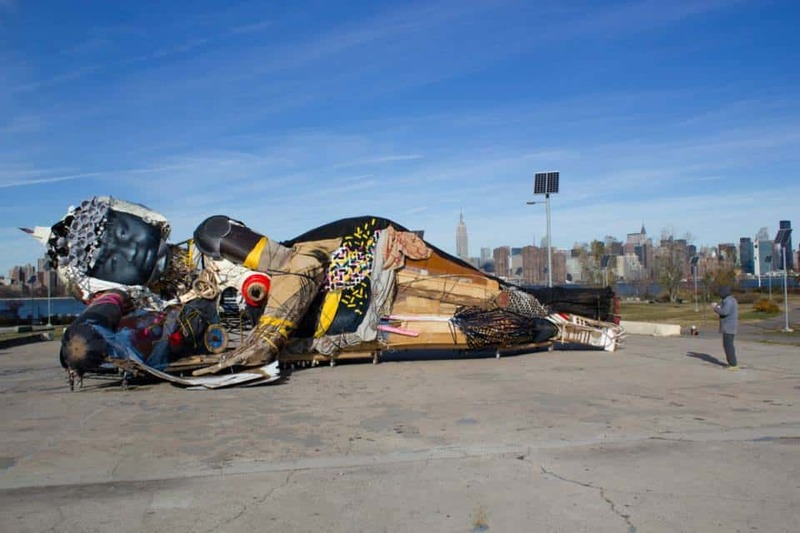 At the end, we admired Paweł Althamer’s work “Queen Mother of Reality” in Williamsburg, which was acknowledged to be one of the best works of this year’s Biennial Performa 13 and appreciated by critics as well as numerous opinion-forming art magazines from across the ocean. Such number of our artists was a result of putting the emphasis by Biennale organizers especially on Poland and Norway. Biennale director RoseLee Goldberg talking with us explained: “Poland has an incredible history of performance art, that combines art, theatre and political situation of the last half century […] Artists and events in the Polish Pavilion illustrate and embody the artistic practices, that we observed during the months spent on exploration, including visits and meetings with representatives of the world of art and culture in Warsaw and Cracow”. For the last two years we can see the increased interest in the works by Alina Szapocznikow from the side of foreign institutions, galleries and collectors. The passing year was also quite intense in this field. It began with a great presentation of her output at New York’s MoMA. Then three big monographic exhibitions – among others in Centre Pompidou in Paris and Bonniers Konsthall in Stockholm – took place in 2013. And despite the market prices fluctuating all the time, Szapocznikow’s works were presented at all the important art fairs in the world and more importantly, not only by Polish galleries but also by foreign ones. 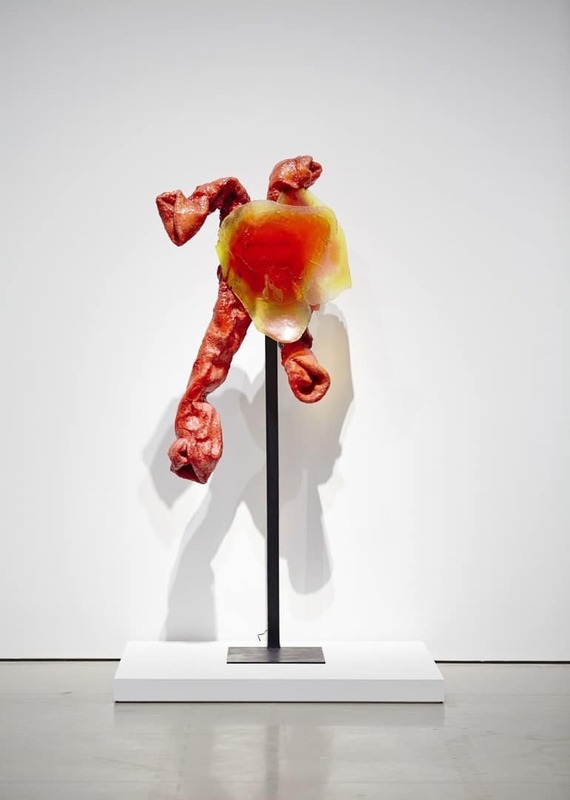 One of them – the Andrea Rosen Gallery from New York showed her works twice in the second half of the year . For the first time it took place at an interesting collective exhibition “Counter Forms” curated by Elena Filipovic, who compiled Szapocznikow’s works with the works of Tetsumi Kudo, Paul Theka, and Hannah Wilke. The latter of these exhibitions, combining the works of Alina Szapocznikow and Hannah Wilke is still open in this gallery now and can be seen until January 18th. It is worth to observe how this cooperation will develop in the future. However, she wasn’t the only artist who so strongly marked its presence in 2013. Also Paulina Ołowska met with approval as well. This very active artist had a solo exhibition “The Method” at London’s Studio Voltaire at the beginning of this year, during which she compiled her works with the output of Mathias Schaufler, Włodzimierz Wieczorkiewicz and Władysław Hasior. 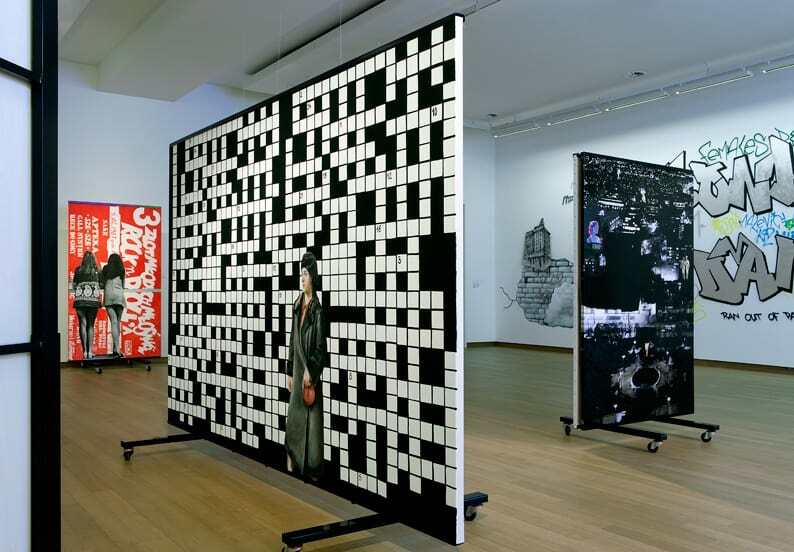 A month later there was held a sensational exhibition “Pavilionesque” at the Kunsthalle Basel during one of the most important art fairs in the world, and afterwards Ołowska opened a solo presentation at the Stedelijk Museum in Amsterdam in autumn. Furthermore, although we haven’t reviewed any art books yet, we would like to draw your attention to sensational edition of the album “Paulina Ołowska. Book”, both in terms of content and aesthetic book, which on the one hand is a monograph on her previous artistic work, and on the other hand an artist book released by JRP Ringier Kunstverlag. Another pleasant surprise of this year is also linked to the Kunsthalle in Basel, namely the appointment of its current director Adam Szymczyk as an artistic director of documenta 14 in Kassel, which will take place in 2017 ! Congratulations ! Another artist Goshka Macuga – active mostly abroad – also drew our attention. An exhibition with her participation at INIVA (the Institute of International Visual Arts) in London ended one month ago. And a few weeks ago the presentation “Non-consensual Act (in progress)” was opened in The Swedish Contemporary Art Foundation in Stockholm. Macuga was one of the most “prolific” and mobile artists this year. Her interventions in the space of an institution or a public space are difficult to enumerate, as well as many meetings and debates, in which she took an active part. In the context of 2013 the most important events and people creating the positive image of Polish art, it is necessary to mention also Marcin Maciejowski, who – despite the fact, that he hasn’t had any large solo exhibition in Poland for a long time – is incredibly popular abroad. It is enough to mention two beautiful exhibitions showing the artistry and sensitivity of Maciejowski’s painting, which took place in Vienna gallery Meyer Kainer in summer and at Galerie Thaddaeus Ropac in Paris („Fine Gesture”) in autumn. 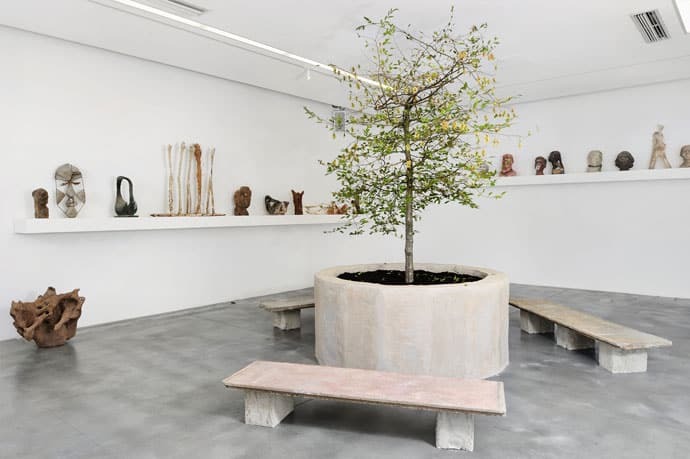 One cannot forget also about his exhibition at the Baltic – Centre for Contemporary Art in Gateshead near London. It was his first solo exhibition in a public institution in the UK. He showed paintings depicting well-known celebrities from tabloids, posing for the paparazzi on the red carpet together with the other works referring to the private life of the artist. This was a universal commentary on contemporary pop culture and it was very clear to both the Polish and British recipients – perhaps even more in the UK, where the cult of celebrity is strongly rooted. The above variety of people and events is just only a small selection of what happened with the participation of the Polish artists abroad in 2013. Selected people and events had in our opinion the strongest and the biggest influence on the image of the Polish art abroad, proving at the same time the importance and necessity of Polish artists’ participation in the global art circulation and turnover. We hope, that next year will be successful and interesting as well.